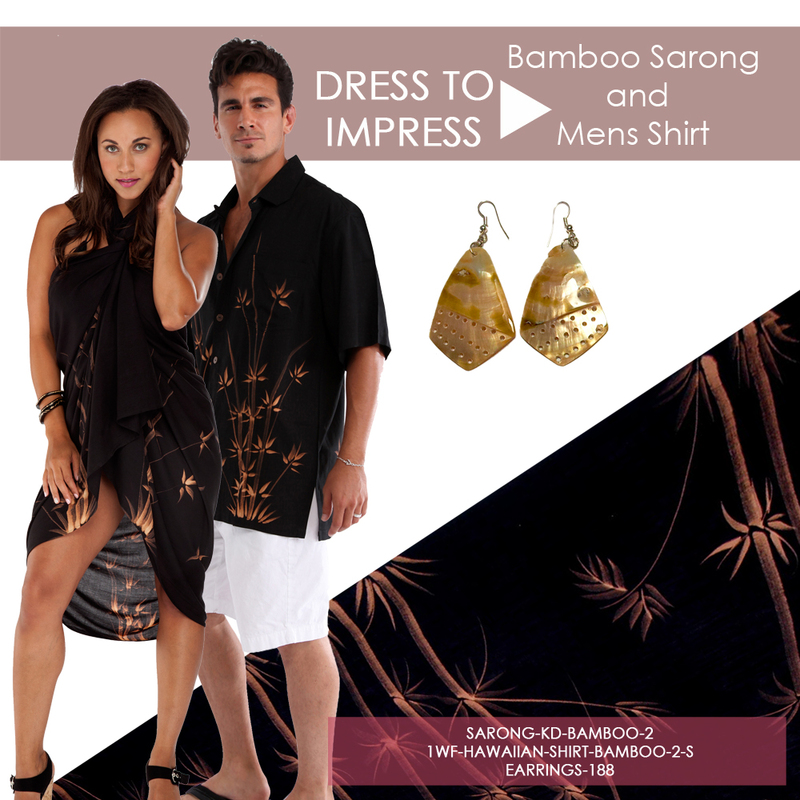 Bamboo Sarong and Shirt Set For the couple that Dresses to Impress. This set includes our top selling black bamboo motif sarong, men's shirt and a pair of earrings for the finishing touch. Sarong is our standard full length Fringed sarong.